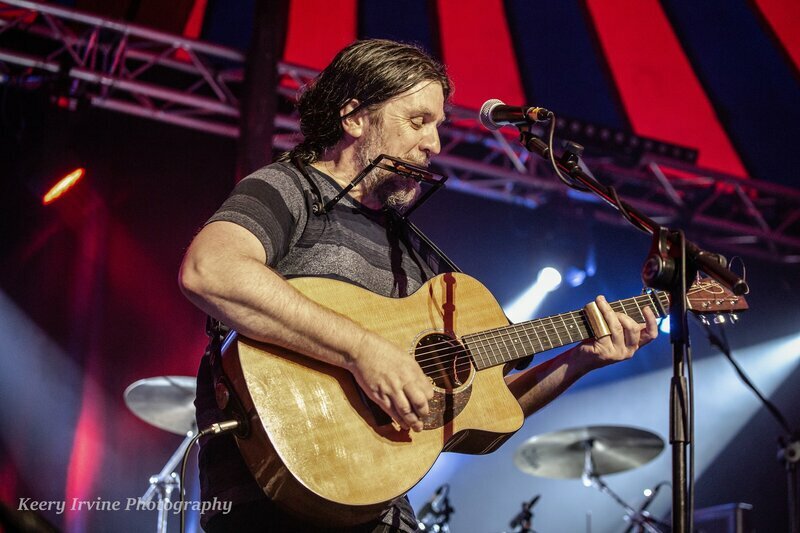 Sunday 2nd June 2019 at the Big Top at Rory Gallagher Festival 2019 will be a special night as the Late Ted McKenna will be remembered by fans from all over the world. Ted lit up the venue every year with BAND OF FRIENDS but sadly Ted passed away earlier this year during a routine operation in his native Scotland. 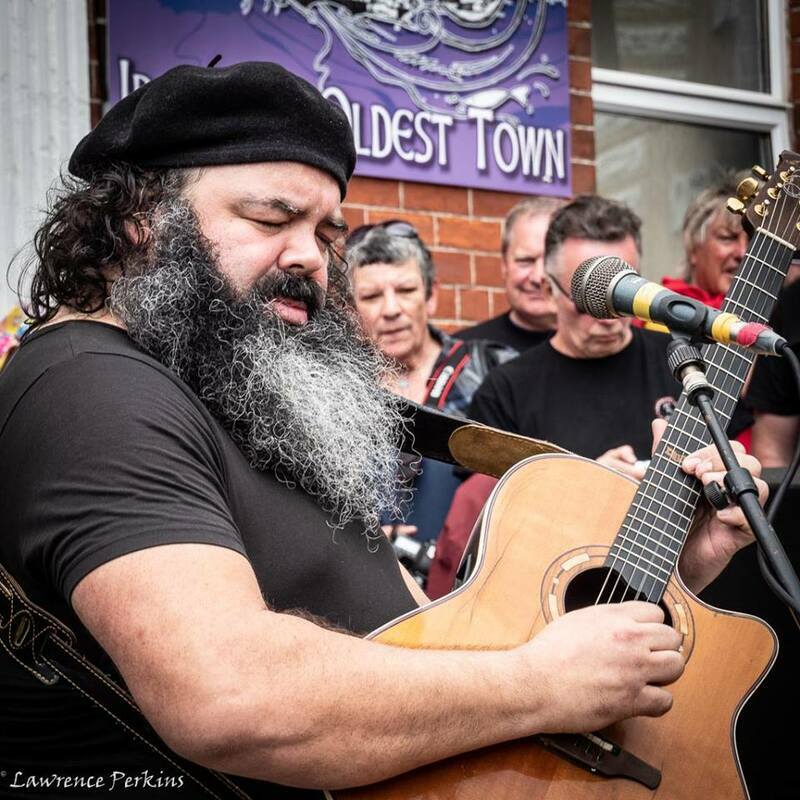 BAND OF FRIENDS will feature stalwarts Gerry McAvoy and Marcel Scherpenzeel with legendary Rory Gallagher drummer Brendan O’Neill set to join the Band for the Festival and other gigs. ​Speaking today - Gerry McAvoy said “After we lost Ted, I wasn’t sure if I wanted to continue with the Band, but after reading so many of your comments on Facebook and on other media outlets, I decided to continue, thank you for your support”. The Rory Gallagher International Tribute Festival 2019 will remember Ted McKenna in a number of ways with more details on that to come. Thousands of fans are set to converge on Ballyshannon, Rory Gallagher’s birthplace, for what is going to be the biggest festival to date with 36 Acts performing on 15 stages over the 4 days throughout Ballyshannon. With headline acts such as Glenn Hughes Band (Deep Purple), Bernie Marsden Band (Whitesnake), Wishbone Ash, Sinnerboy, Johnny Gallagher & Boxtie, Laundromat (NL) and many many more .... Sunday night at the Big Top will be filled with emotion and memories as BAND OF FRIENDS return to their spiritual home without the Late Great Ted McKenna. The Rory Gallagher International Tribute Festival will feature in excess of 30 acts from across the world and the 4 day festival is loved for its relaxed atmosphere, its renowned street concerts that are free to view, the Rock ‘n Blues Pub gigs that are also free to view and the nightly Festival Big Top Concerts that feature many of the finest Rock ‘n Blues bands, and the leading Rory Gallagher Tribute acts. “Each year we strive to bring many renowned acts that have played with and have been influenced by Rory Gallagher. We are pleased that so many of Rory’s fans from across the world make the trip annually and it certainly would make Rory proud. Weekend Early Bird Tickets for the nightly Big Top Concerts are on sale at just €70 for all 3 nights, its superb value and we are delighted with the quality of the line-up for this year” said Barry O’Neill (Festival Chairperson). 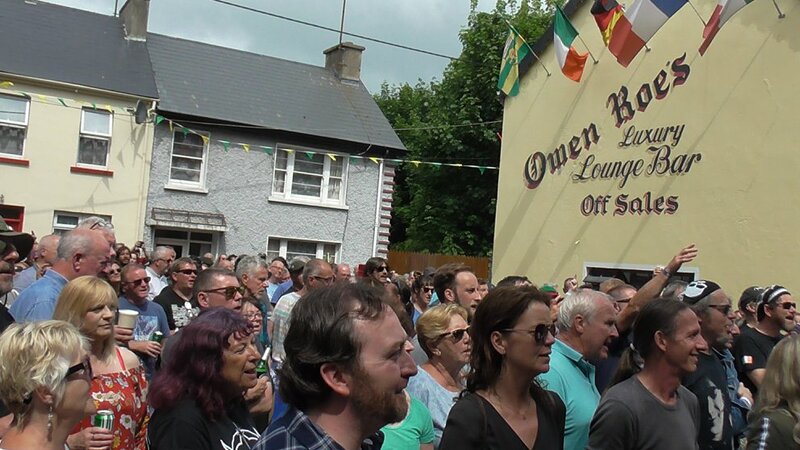 The organising committee of this years Rory Gallagher International Tribute Festival to be staged in Ballyshannon, Co. Donegal, Ireland on the June Bank Holiday weekend (Thursday 30th May to Sunday 2nd June 2019) are appealing to the accommodation sector in the locality to come forward with accommodation availability such is the demand from visitors that are set to attend the 4 day event that gets underway on Thursday 30th May 2019. 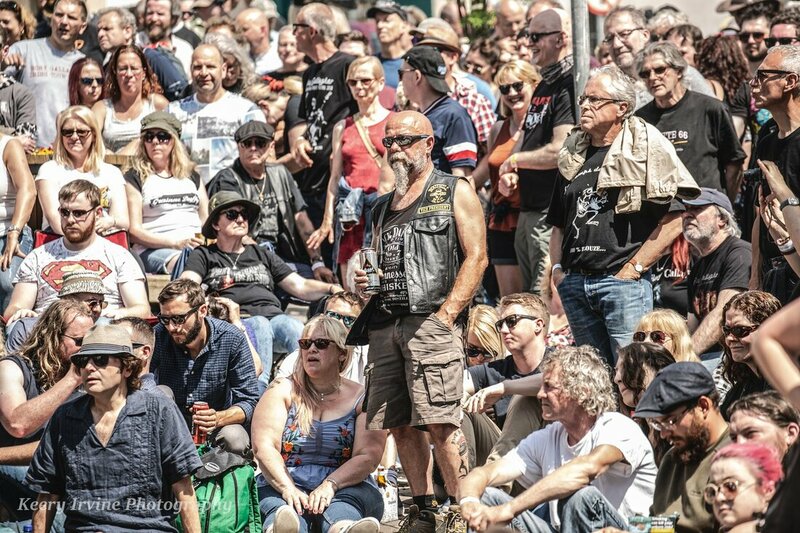 Thousands of Rock ‘n Blues music fans are set to converge on the town from over 25 different countries worldwide for what is being billed as the ‘best of the best’ with headline acts from over the past 16 years assembling to honour the internationally acclaimed guitarist that was born in Ballyshannon. Festival Chairperson – Barry O’Neill said “there is huge interest in the Festival this year with a big demand for accommodation in the locality, we are appealing to the accommodation sector and indeed the community to come forward with rooms to accommodate the expected influx of visitors from across the world. Many festival goers are contacting our website seeking accommodation particularly guesthouse and self catering accommodation, we are making an appeal to the public to make accommodation available by contacting us by email to roryfest@hotmail.com and we will endeavour to relate new availability to the visitors seeking accommodation”. The festival has become a mecca for fans to witness legendary guitarists and this year is no different with acts such as Rory's former band members, Gerry McAvoy and Brendan O’Neill with “Band of Friends", the voice of Rock - Deep Purple Legend - Glenn Hughes & His Band , the legendary WISHBONE ASH featuring Andy Powell, renowned “Whitesnake” guitarist Bernie Marsden & His Band, Pat McManus Band (ex. Mama's Boys), Johnny Gallagher & The Boxtie Band, “Sinnerboy” (UK), Laundromat (Holland), Grainne Duffy & Her Band, from Scotland the electrifying “Gerry Jablonski Band”, “Mark Langan & The Mercenaries” (Ireland), Tony Dowler & The Hellhounds (UK), Seamie O'Dowd Band, The Mississippi Sheiks (Ireland), Aiden Pryor Band (UK) and many more ....... In all 30 Acts on 15 Stages over 4 days ... its a unique festival tribute that honours one of the greatest of all time. Mr. O’Neill added “while much of the festival is free to view with street concerts, exhibitions, pub gigs and sessions, the nightly Gala Concerts have seen an increase in ticket sales this year mainly due to the strong line-up of acts that are appearing. The tickets sales data shows that Weekend Tickets for all 3 nights have sold in 23 different countries since going on sale 8 months ago. 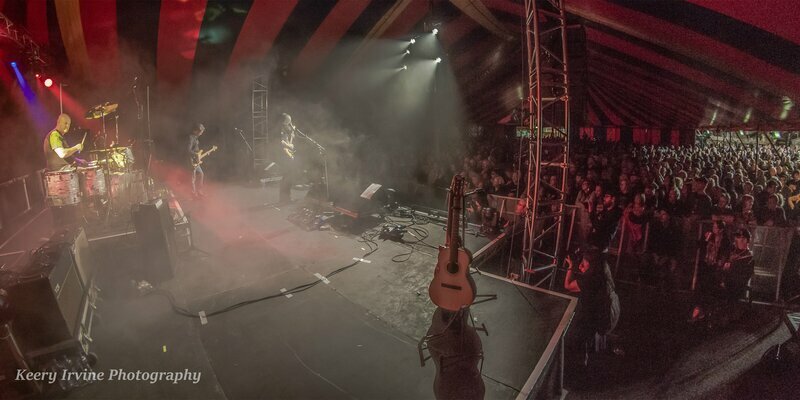 Our small dedicated voluntary committee have worked tirelessly marketing the festival across Europe and our new website www.rorygallagherfestival.com has proved to be hugely successful, Rory Gallagher would be so proud to know that his worldwide fans are going to his hometown to celebrate his rich musical legacy. Rory’s fans and visitors are attending from all over the world from as far as Australia, Canada, USA, Turkey, Brazil .... its a fantastic tribute to the Late Rory Gallagher but it underlines Rory’s worldwide following 19 years after his untimely passing. Rory Gallagher International Tribute Festival takes place in Ballyshannon, Co. Donegal between Thursday 30th May and Sunday 2nd June 2019. Rory Gallagher is regarded as one of the greatest guitarists ever, many of today's top musicians, including The Edge from U2, Slash of Guns N' Roses fame, Johnny Marr of the Smiths and Brian May of Queen cite Rory as an inspiration in their formative musical years. 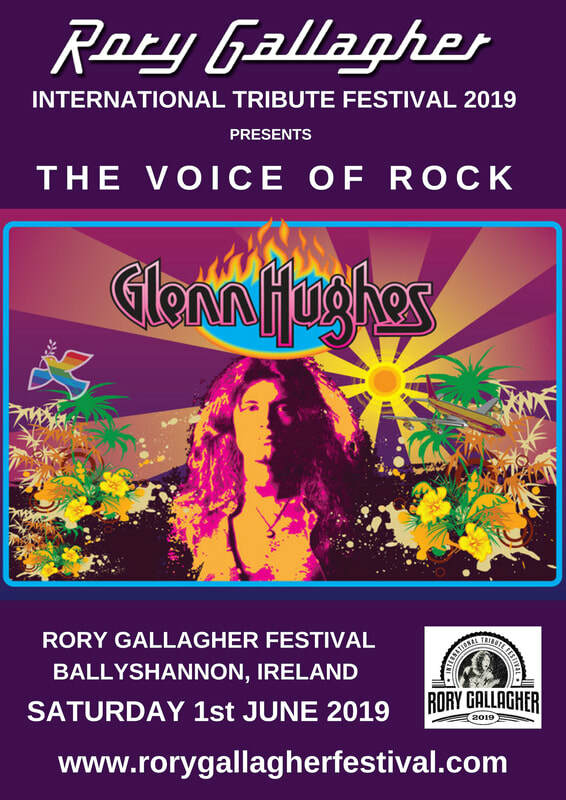 Former Deep Purple star and current Black Country Communion frontman Glenn Hughes affectionately known as "The Voice of Rock" will headline the 2019 Rory Gallagher International Tribute Festival in Ballyshannon, Co. Donegal, Ireland. The Rock and Roll Hall of Fame inductee will be bringing his ‘Glenn Hughes Performs Classic Deep Purple Live’ for an exclusive 2019 Irish Festival date to Ballyshannon to honour the Late Great Rory Gallagher. Glenn Hughes features on an incredible Rory Gallagher Festival line-up that boasts Band of Friends, Bernie Marsden Band (ex. 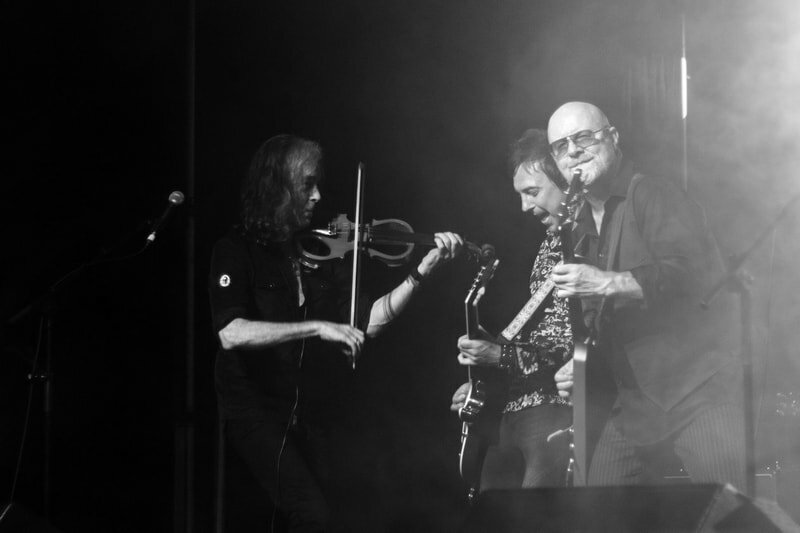 Whitesnake), Wishbone Ash, Pat McManus Band (ex. Mama's Boy's), Johnny Gallagher & Boxtie, Sinnerboy, Gerry Jablonski Band, Grainne Duffy Band, The Mississippi Sheiks (IRE), Big Guns (Italy), Laundromat (Holand), Deuce (Ireland) and many more. The Festival honours the Late Great Rory Gallagher who was born in the town at the appropriately named Rock Hospital. 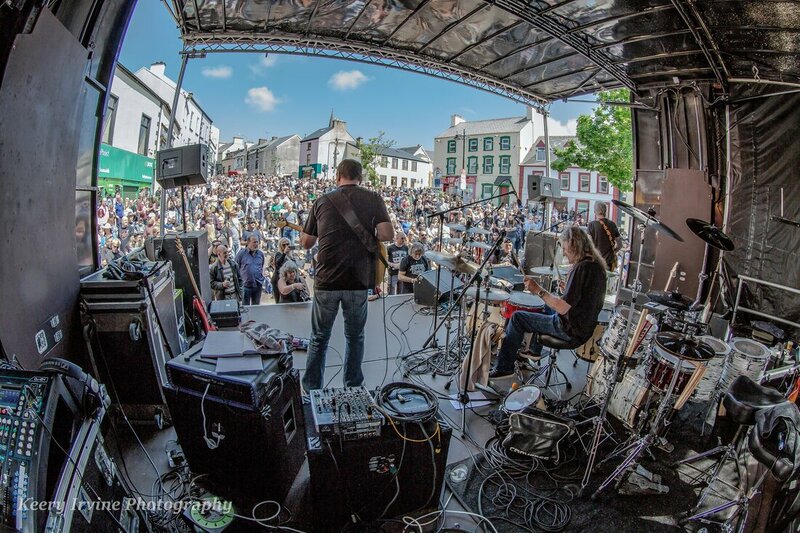 Over 8,000 music fans are expected to converge on Ballyshannon for the 4-day Festival that starts on Thursday 30th May and continues to the late hours on Sunday 2nd June 2019. Glenn Hughes famously fronted the MK 3 and MK 4 incarnations of Deep Purple, said this week "I'm both honoured and excited to be headlining the Rory Gallagher International Tribute Festival in June 2019, Rory was without doubt one of the best guitarists ever and I am very honoured to headline the Festival in his honour in his birthplace of Ballyshannon". Glenn’s band boasts Soren Anderson (guitar), Jesper Bo Hansen (keyboards and Fernando Escobedo (drums). Deep Purple took a quantum leap when the then-20-year-old Hughes was seconded from British funk-rock outfit Trapeze in mid-1973. As bassist and co-vocalist, with David Coverdale, he helped steer the legendary rock group in the progressive direction of Burn (1974), Stormbringer (1974) and Come Taste the Band (1975), while touring the world for three years. Hughes was with Deep Purple from 1973 until the band split up in 1976. In 2016, Hughes was inducted into the coveted Rock and Roll Hall of Fame in its "Performers" category, along with such veteran Deep Purple band-mates as Ritchie Blackmore, David Coverdale, Rod Evans, Ian Gillan, Roger Glover, Jon Lord and Ian Paice. Deep Purple has been praised as one of "music's most seminal and influential rock and roll groups". In 2018, Glenn Hughes toured his show "Glenn Hughes Performs Classic Deep Purple Live" in South America, the USA with massive success and also across Europe with shows in the UK, Germany, Poland, Czech Republic, Ukraine, France, Italy, the Netherlands, Russia, Israel and Finland. 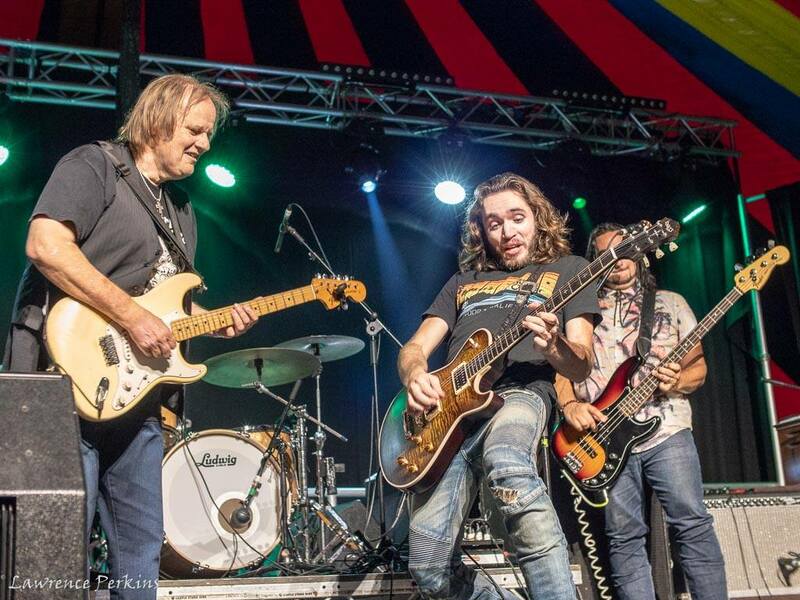 At his shows in London, Hughes was joined on stage by "Black Country Communion" colleague Joe Bonamasa, while in Kiev he was joined on stage by Bernie Marsden who will also be appearing in Ballyshannon at Rory Gallagher International Tribute Festival 2019. Rory Gallagher Festival Chairperson - Barry O'Neill said "We are delighted with the stellar line-up that we have assembled and announcing Glenn Hughes & His Band as our Festival Headliners is for us a really big coup. 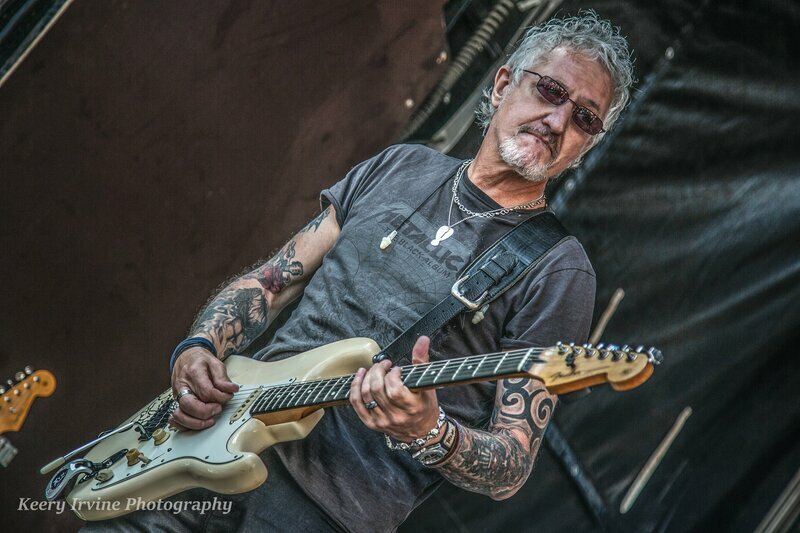 Glenn is one of the great rock stars and to have him and his band come to Ballyshannon is quite a big deal for us but also for the many Festival visitors and Rory fans that will attend from some 25 countries worldwide. We are delighted overall with our line-up, its a pretty incredible gathering and we may still have just one more show to still announce …."